The rugged landscape of Santorini, perhaps the most popular island of the Cyclades complex in the Aegean Sea, is without a doubt one of Greece’s top tourism attractions in the world. 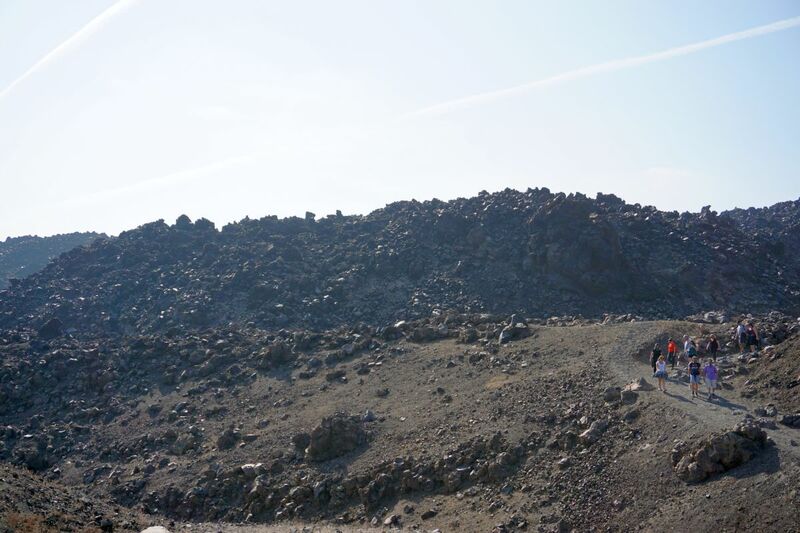 The island’s volcanic caldera, created in about 1600 B.C. by a massive explosion, to date continues to star in millions of photographs around the world, influencing holidaymakers and attracting even more visitors. “Everything is centered around the volcano,” Thira Mayor Nikos Zorzos told GTP Headlines during a recent press trip to the island, underlining that the civilization destroyed by the volcano has been preserved in today’s Santorini, in the villages that contain special morphological elements and great architecture. “The volcano also gave us this land to cultivate natural products, which may be few but have extraordinary organic features, such as our wine, small tomatoes, fava beans, green and white eggplants and round zucchinis,” he said. 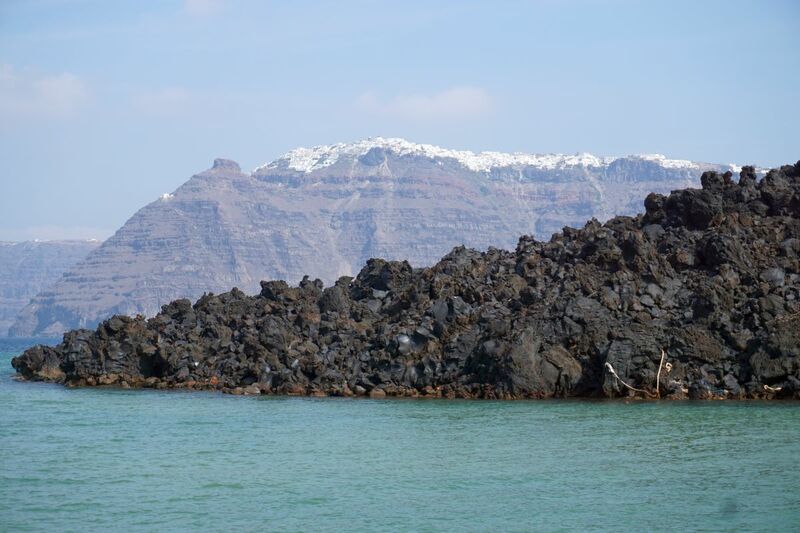 Mayor Zorzos added that besides being a tourism attraction on its own, the volcano has helped to develop marine tourism in the area. “Marine tourism has grown here in recent years, that is the touring of the the sea area of ​​the caldera and not only… It is a special area within Santorini, one of the world’s most popular destinations, and its power is from the earth itself, its power is its geomorphology… Sailing the caldera and around Santorini is a unique experience,” the mayor said. 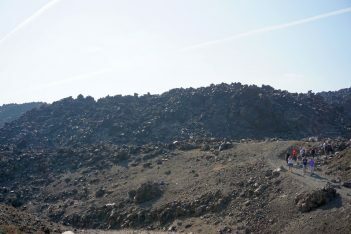 The island’s volcano today is monitored by the Institute for the Study and Monitoring of the Santorini Volcano that promotes volcanological research and aims to achieve the most accurate assessment possible regarding volcanic phenomena, as well as the increased probability of precise forecasting of future volcanic eruption. The volcano’s most recent activity was in 1950 and considered by experts as a weak eruption. 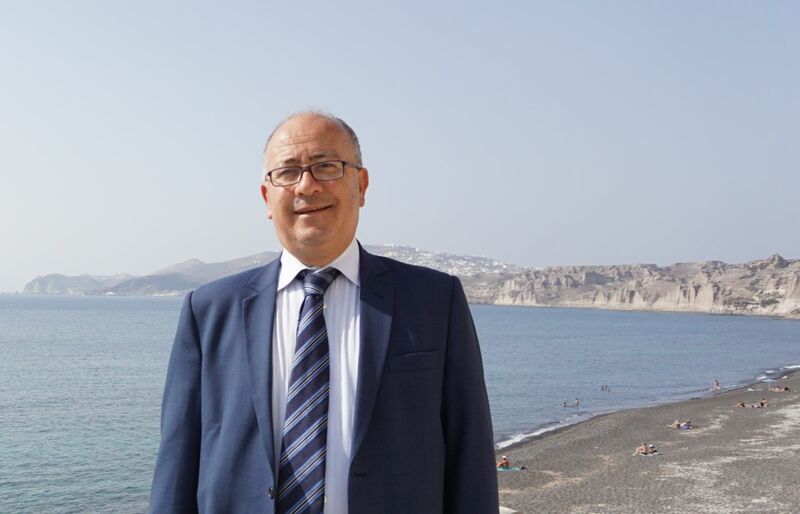 “To even talk about Santorini and its beauty, we must keep in mind that whatever has been created, the volcano is responsible,” the institute’s president, Giorgos Vougioukalakis, told GTP Headlines on the sidelines of the institute’s annual briefing in Thira. 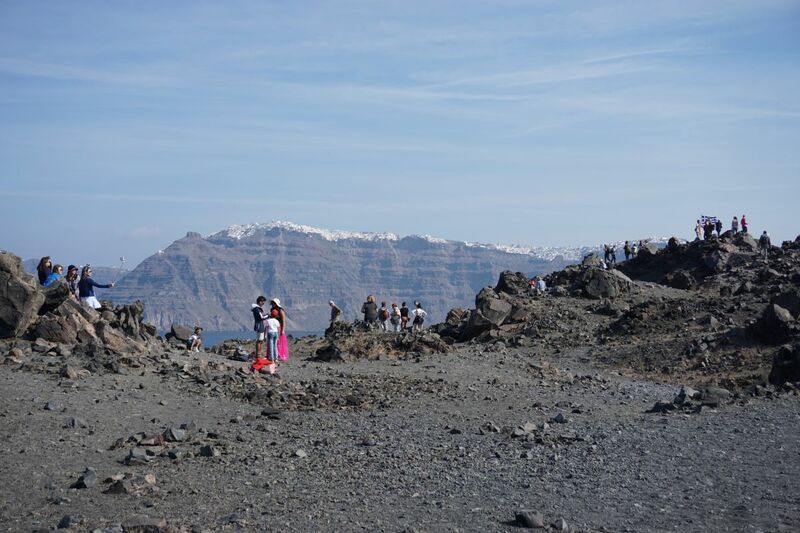 “Without the volcano there would be no Santorini and without the destructive background we would not have today’s impressive caldera,” he added. 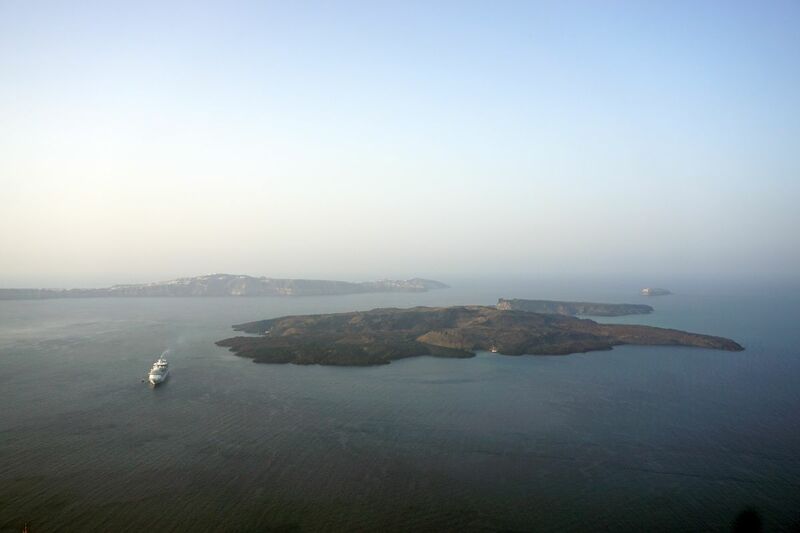 According to Vougioukalakis, a big part of Santorini’s tourism today, is not connected directly with the volcano. 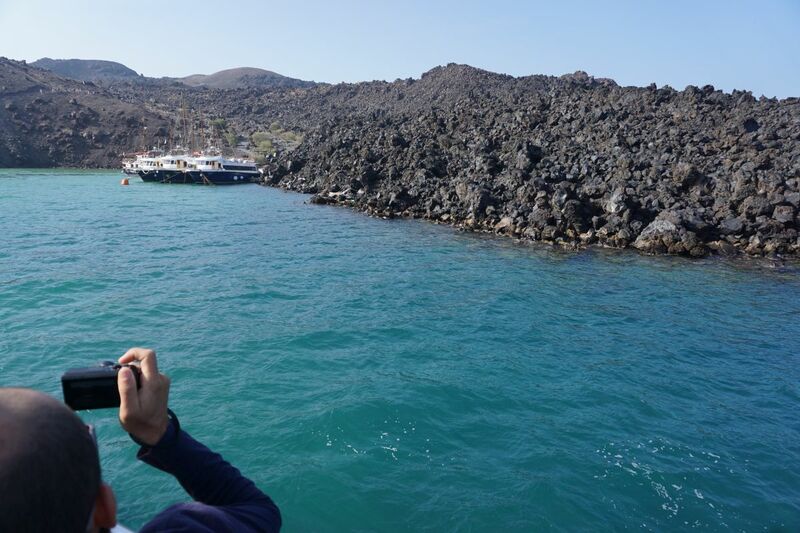 “Travelers come to Santorini because it has become a legend and about only a quarter of the island’s tourists visit the Kammeni islets – the volcano,” he said. The small uninhabited Greek islets of volcanic origin – Nea Kameni and Palia Kameni (the new and old burnt islets) – are located in the center of the caldera and were formed over the past two millennia by repeated eruptions of dacite lava and ash. 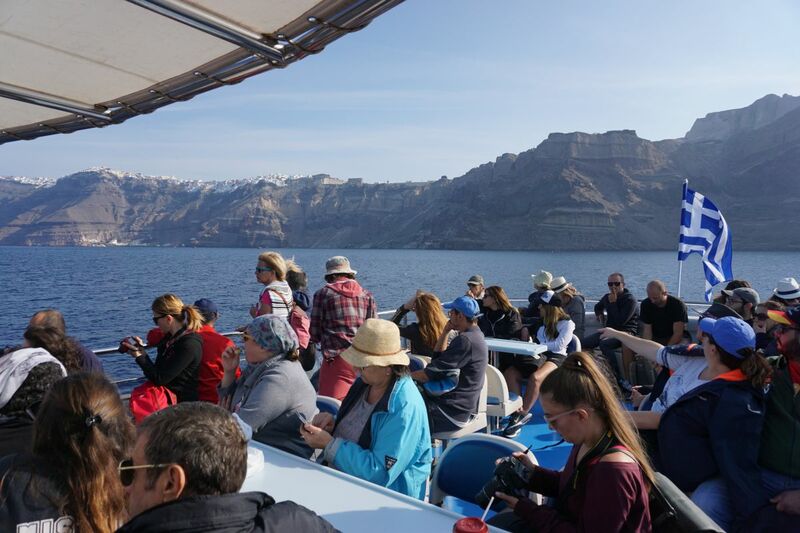 According to figures, last year Santorini’s volcano saw 300,000 visitors while, in total, the island welcomed over 2.4 million visitors, including cruise passengers. “What is desirable – that would surely upgrade the island’s tourist product and offer a substantial expansion of the tourist season – is for the volcano to be ‘used’ more carefully… It has a role in the island’s tourism, but can have even a bigger one and also attract high-quality tourism that would help for a wider distribution throughout the island all year round,” he said. 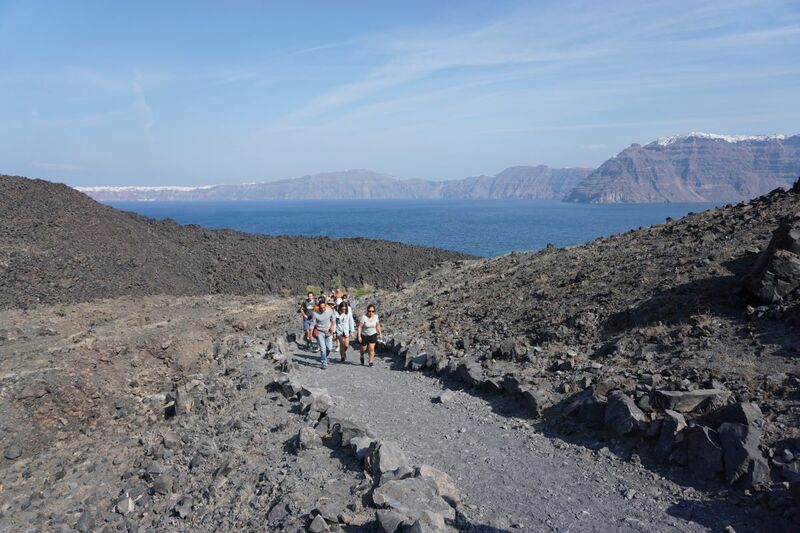 Santorini’s volcano and all the history behind it is a major attraction for the international science community, as experts arrive to study volcanic phenomena and university students are taught volcanology. 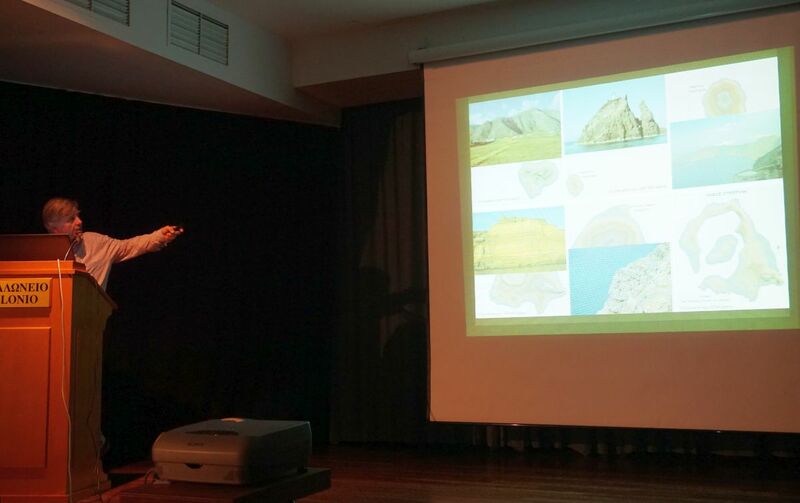 According to Vougioukalakis, the volcano annually welcomes at least 20 universities from all over the world every spring and autumn, mainly from America and Europe. 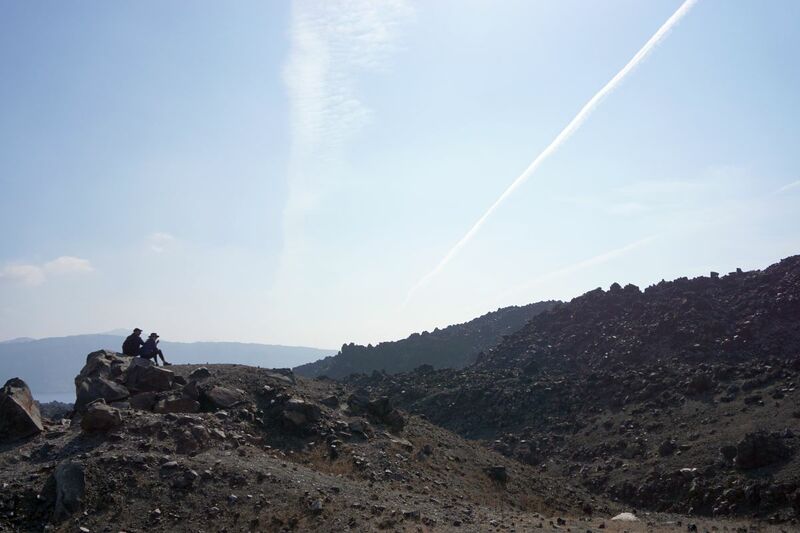 “Each university group includes about 25 people and reside on the island for at least a week… There is not a volcano expert in the world that has not passed through Santorini or that does not wish to study on the island… We are lucky because we have the most studied volcano on the planet, with countless studies dating back to 1866. Santorini is a very important ‘science destination’,” he said. 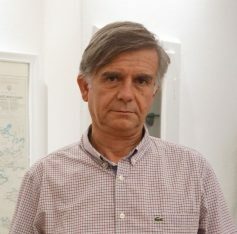 Regarding a future volcanic eruption, Vougioukalakis underlined that the explosion expected in the coming years will be manageable, but underlined the need for improvement works to the island’s infrastructure. The institute’s president underlined that Greece still does not have an emergency plan for volcanoes, as a draft plan was submitted in 2013 to the General Secretariat for Civil Protection, but to date has yet to be adopted. 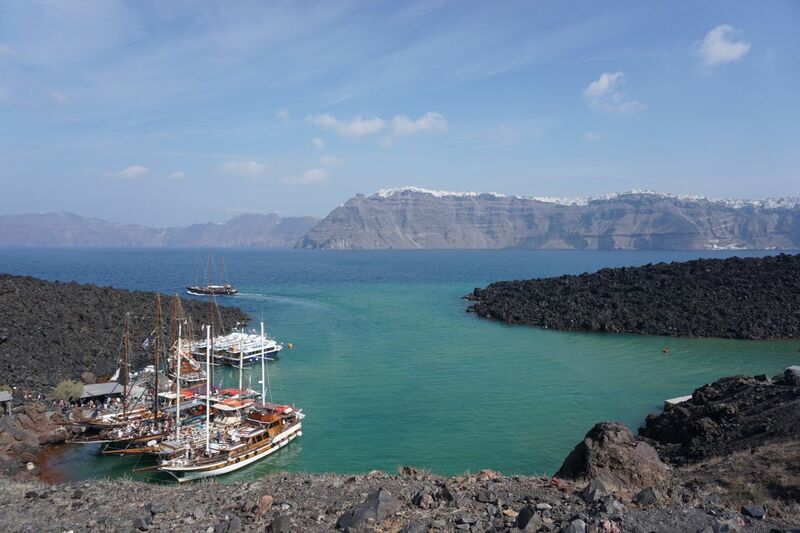 “We, the scientists, have the experience and tremendous knowledge of Santorini. But there is also a need for the state to get involved… We need an official plan that will have all the possibilities to be applied so if and when we have a volcanic crisis, it will have the least impact on society and tourism,” he said. If the volcano was to erupt today and evacuation was necessary, Vougioukalakis said that the island’s port Athinios would be able to operate only if the volcanic activity is mild. “In any other case, vessels would have to leave from other parts of the island,” he said. Regarding the island’s airport, Vougioukalakis said that “in the worst case scenario”, it would have to close for two to three days. 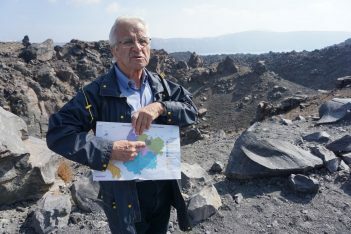 “In 2012 there was a big possibility of the volcano erupting… Back then we cooperated with leading foreign experts to take all precautions necessary… When we have to face the next volcanic crisis we will be more than ready and I can say for sure that it will have no impact on the everyday life on Santorini,” Vougioukalakis said, adding that scientists expect a future eruption to be similar to the one in 1925. “Such explosions have little effect on the island… It will possibly mean a new wave of tourists for Santorini curious to see the phenomenon,” he added. Following is a very impressive video that reveals exactly how Santorini was formed. 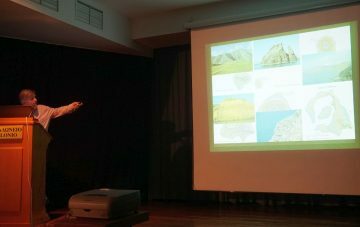 The video, which is based on research of various scientists, institutes and universities, was created by Nikos Korakakis.